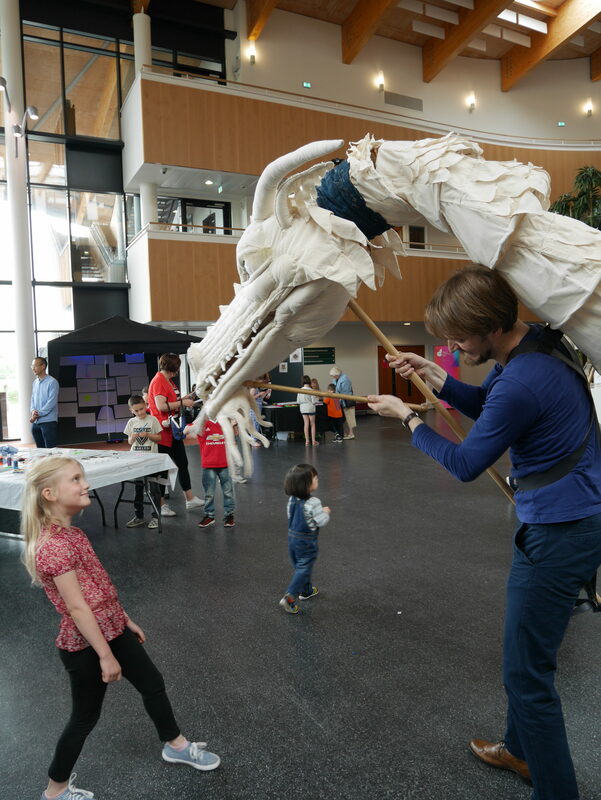 The Dragon in York! 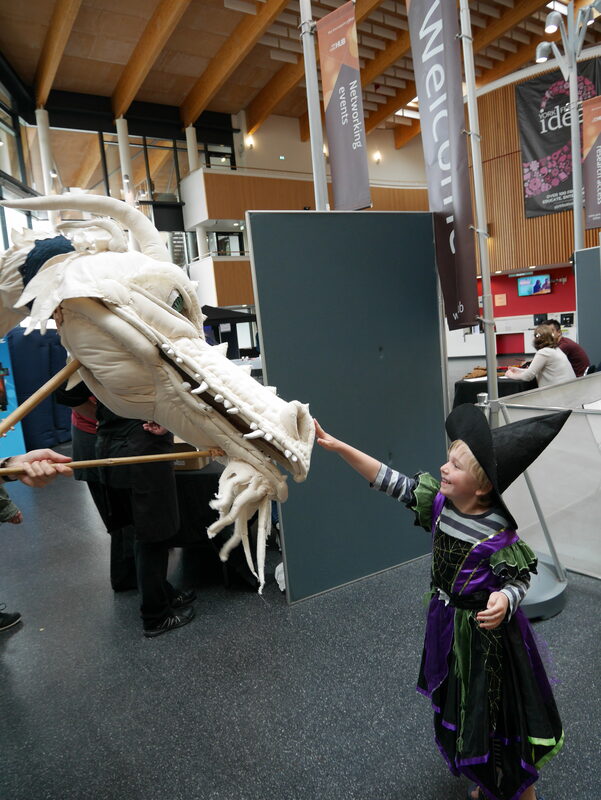 Members of the REED North-East Team accompanied the Durham Dragon to the ‘Witchcraft and Wizardry’ Event, held at the University of York as part of the York Festival Ideas (http://yorkfestivalofideas.com/2018/community/witchcraft-and-wizardry/). 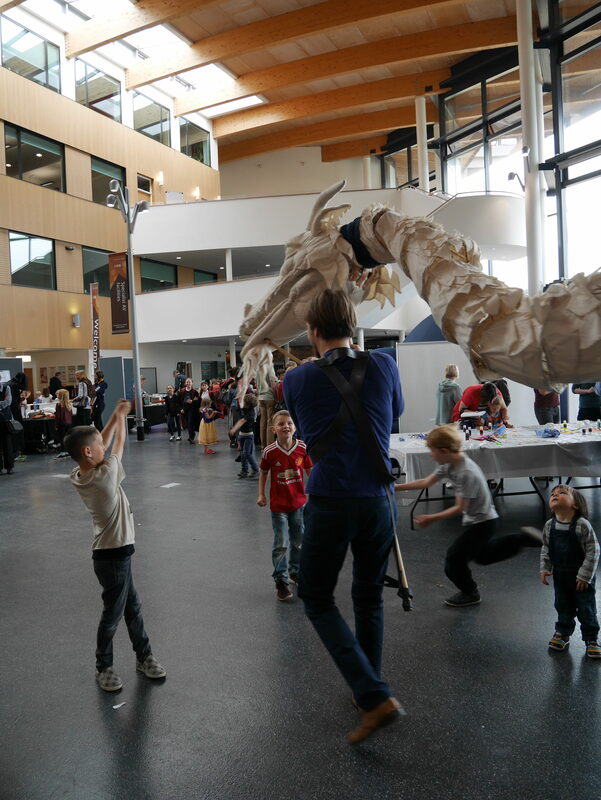 REED N-E team member Jamie Beckett gave a talk on the mythology of worms, serpents and dragons, and then the Dragon made its terrifying appearance – to the delight of several hundred attendees! Below are some photographs and video of the event (Photo credits: Jessica Loveland. Dragon operators: Gasper Jakovac, Mark Chambers, Emily Smith*, Diana Wyatt). * We are exceptionally grateful to Emily Smith for all of her valuable assistance. Also thanks Jessica Loveland for photography. — The REED N-E Team.